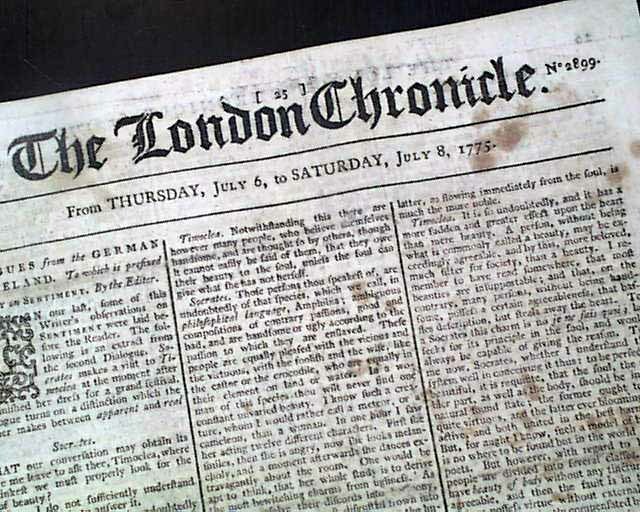 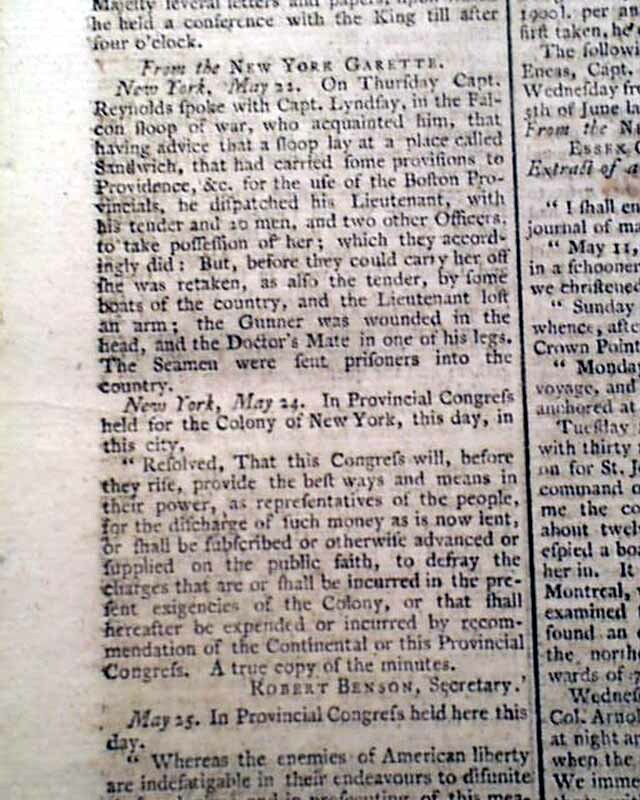 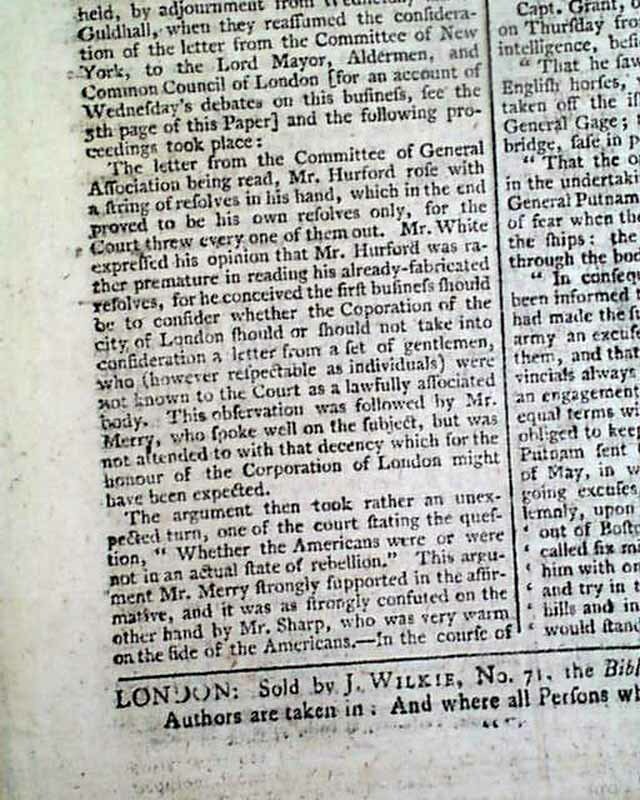 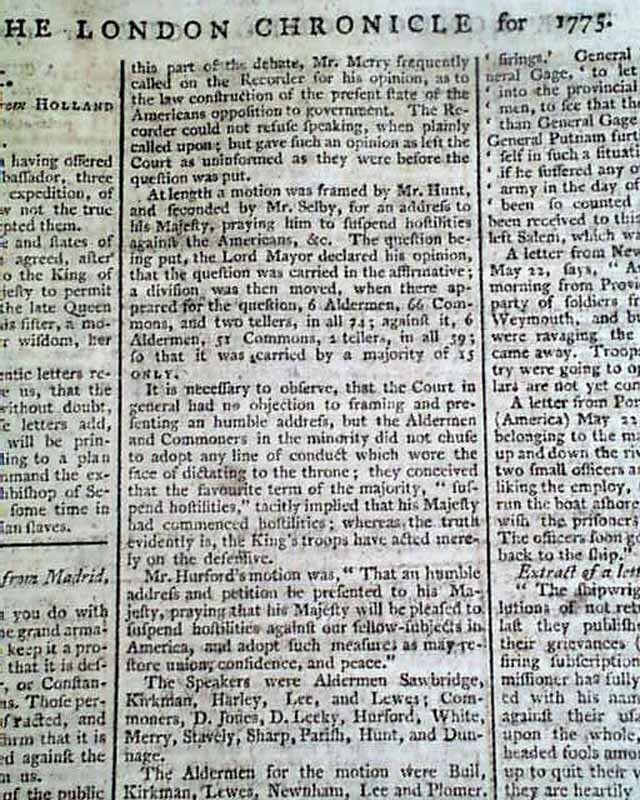 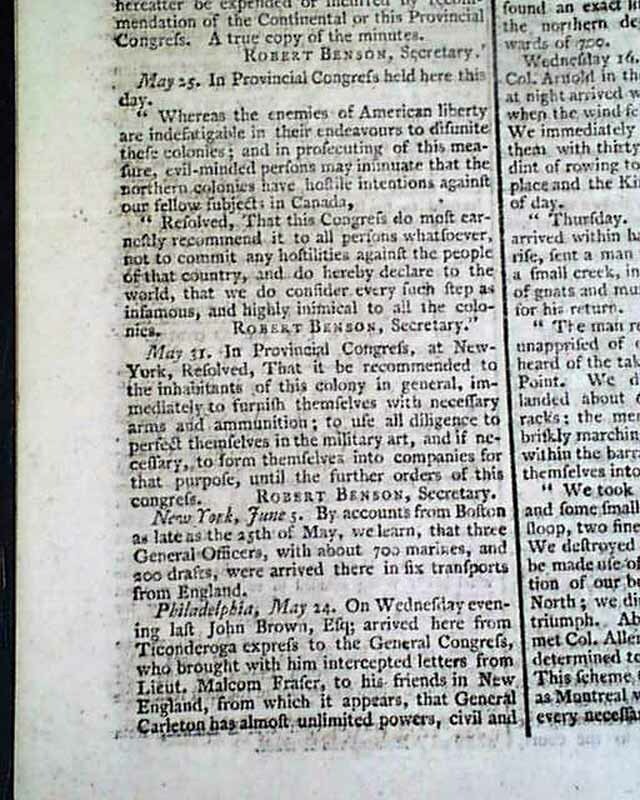 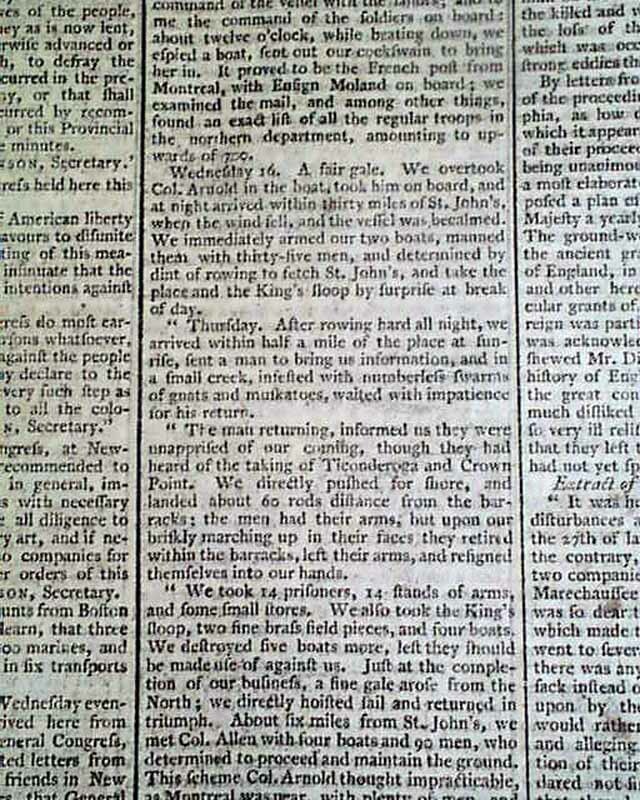 Page 6 contains various reports as taken "From The New York Gazette" including various reports from the Provincial Congress in New York (see photos), including "...that it be recommended to the inhabitants of this colony...immediately to furnish themselves with necessary arms & ammunition to use all diligence to perfect themselves in the military art..." plus more (see). 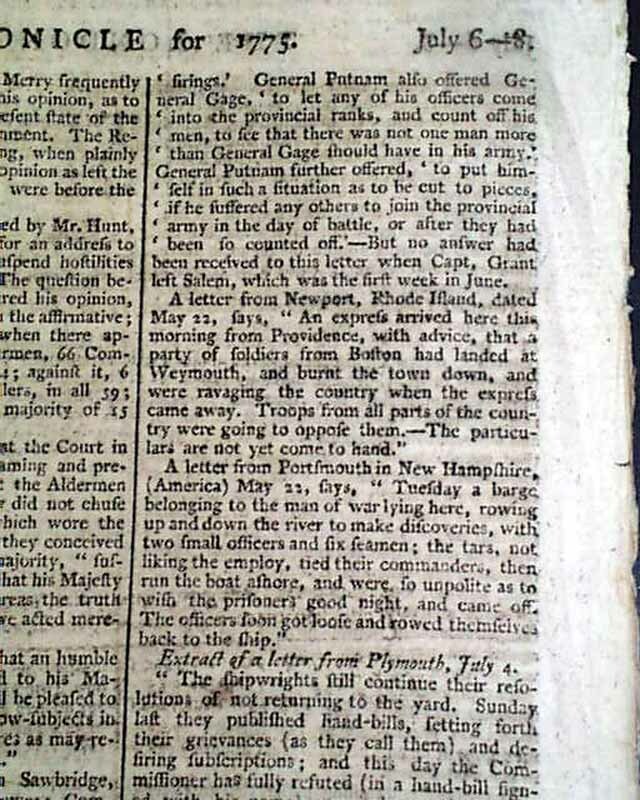 There is also a nice account of a letter from Ticonderoga with much detailed reporting, including mention of "...Col. Arnold, with 30 men, took the boat & proceeded on for St. John's...We overtook Col. Arnold in the boat...informed us they were unapprised of our coming, though they had heard of the taking of Ticonderoga & Crown Point...We took 14 prisoners, 14 stands of arms & some small stores..." with more (see). 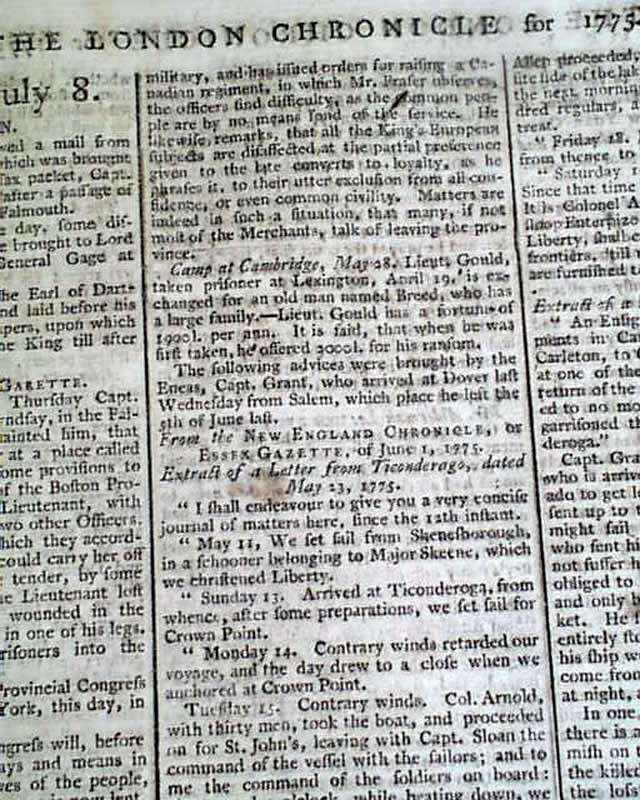 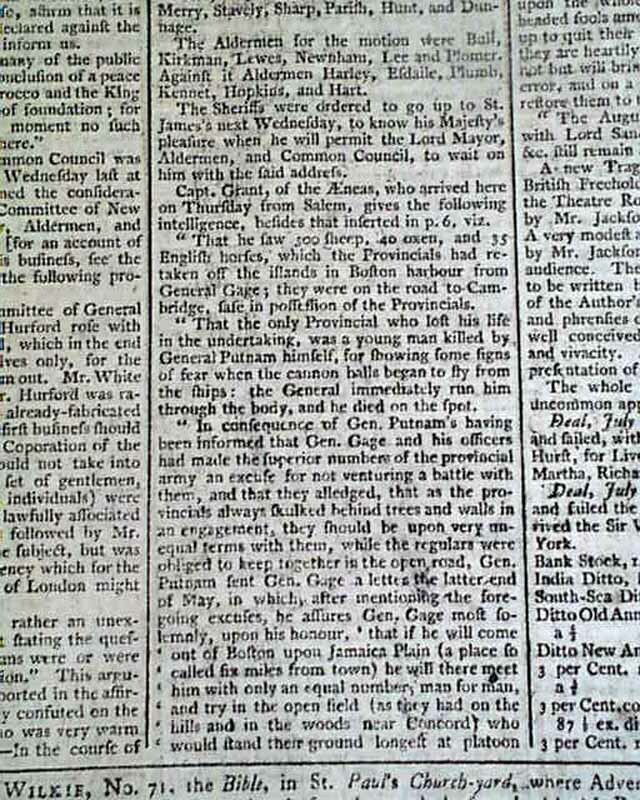 And there is even further good war-related content on the back page with reports on General Gage & General Putnam (see). 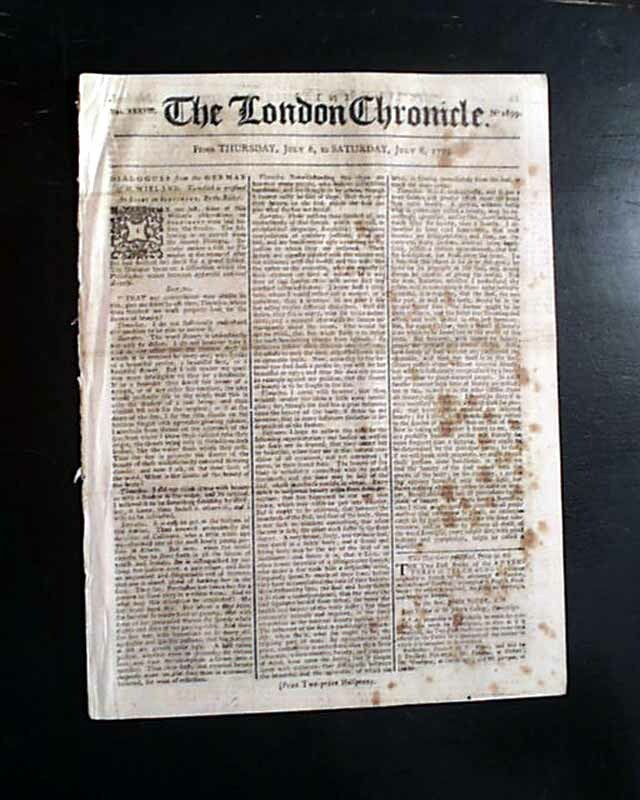 Complete in 8 pages, 8 1/2 by 11 1/2 in., lite scattered foxing, otherwise in very good condition.